The client is becoming whole. Contact with the self, with all its complexities and capacities, so long split and fragmented, is being re-established. Feelings and thoughts and perceptions rush in, often with surprising intensity. And each of those long-repressed, long-hidden parts of self has a kind of fragility, like a flower bud freshly opened or a butterfly newly escaped from its hard cocoon. The process of integration within integrative psychotherapy refers to two different meanings of the term: First it’s about the way we integrate different theories in our practice. Secondly, our integrative project refers to the aim of therapy as facilitating sense of wholeness in a person’s being and functioning. Here we are concerned to help a client’s integration at intrapsychic, mind-body, relational, societal and/or transpersonal levels. The second meaning is the focus of this chapter. A client is moving towards integration when they gain insight into their experience and when they have a sense of feeling ‘at home’ with self, and at ease with others. Of course there are limits to the extent anyone can be deemed ‘whole’, but integration remains the driving spirit of our work (particularly in the longer-term). As relational integrative therapists, we believe that healing integration ultimately occurs through relationships (with the therapist and with others). The therapeutic alliance acts as a catalyst enabling the client’s growth through new awarenesses and through having the experience of relating at depth. Our integrating project is multi-layered and interconnected (see figure 1). There is a layer related to intrapsychic integration (e.g. conscious-unconscious) where disowned/unacknowledged parts of the client’s self are brought together. Then there is the integration of body-mind and relational-social integration (or self-other) where clients’ relationship with self and others in their social world become more connected. Lastly there is transpersonal integration which tunes into spiritual aspects (including intergenerational integration of ancestral history). 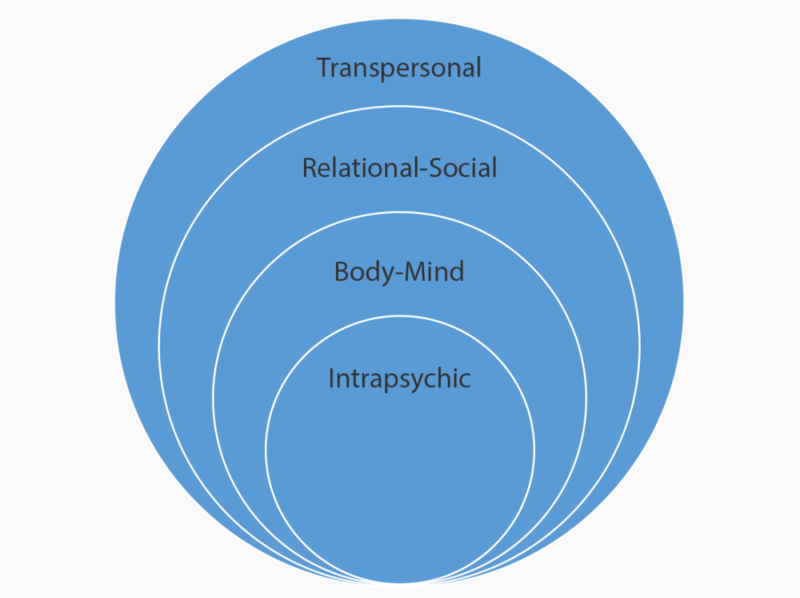 Any or all of these levels might be the focus of therapy as we try to enable clients to make meaningful connections as they become more aware of their experience and relationship history. In relational psychoanalytic terms drawing on attachment theory, clients are given a kind of second chance of a new significant attachment relationship. The theory suggests that experiences which were not mirrored/processed/contained in early attachment relationships had to be split off and disowned. The new therapy attachment allows space to integrate those dissociated bits through a form of re-parenting (Wallin, 2007). Integrative insight comes in many forms as clients make links between past/present; conscious/unconscious; thought/feelings/behaviour; and between self and other. The insights might be emotional or intellectual, sudden or gradual. 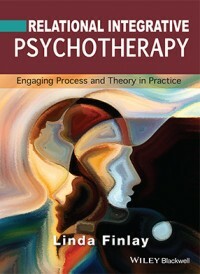 Therapy begins by focusing on the here-and-now therapy relationship and on changes for the better in that relationship: in order to create a space within which integration and insight will eventually find a home… Relational therapy becomes first a place where a client feels better as she feels understood, then a place where she sometimes feels worse than ever…and finally a place where new interpersonal confidence can emerge, along with new insight and self-integration – providing a sturdier, more durable kind of feeling better. When I started out, the reasons I was going to therapy in the first place felt terrifying, like some uninvited visitor that I didn’t want, like or dare to even glance sideways at. The process was so full of fear that at times it felt all consuming and I feared for my own safety. I wasn’t sure I could endure it, it occupied my thoughts every minute of every day, making my stomach feel tight as if I was recoiling from myself. The feeling of panic would come in waves and at times I felt physically nauseous at the rise and fall of these sickly emotions. I wanted to feel safe but feeling safe meant taking risks, to reveal things, to feel as vulnerable as one could possibly feel. (When you have spent a lifetime learning that vulnerability means you will be attacked, ridiculed and ultimately your weaknesses and flaws used against you – trust is a huge ask). Fear and lack of trust were in the way. I could go forward or I could go back. Going forward was like reaching out in the dark and trusting the next branch would appear without actually knowing whether it would or not. Going back meant certain death. So forward I went. Branches appeared in the form of consistency, calmness, kind eyes and compassion. As nice as it sounds, not always pleasant. Compassion sometimes feels like shards of light entering a room that has been blacked out for decades. Painful at first, unnatural – I don’t really want to take a moment and feel what I have been missing because those shards of light are revealing just how much was there that I haven’t received. And then of course there is still that thing over there in the corner that I’m terrified of; I try to accept it but it doesn’t work as I’m too frightened of it. But then something interesting happens: little by little I feel a bit more grown up, the person opposite me is talking to me as if I am capable, intelligent and as if I have a future. This is music to Little Me’s ears, and Little Me decides to sit still for short periods of time and trust that things are being taken care of. There is an adult in the room that I can trust and the adult is me. My thinking is more rational, forgiving and strong; part of me is able to recognise that Little Me is afraid of that thing over there in the shadows and offers the Little Me some comfort in kind words, hugs and compassion. The uninvited guest starts to feel less like a terrifying stranger and its presence is acknowledged. I sit with it for short periods and try to get to know it. Then the people out there start to change too or I notice things I didn’t used to. I’m hearing positive comments and seeing love from my friends. More than this I’m ‘feeling’ these comments and I’m feeling this love. And I feel less afraid. That thing over there in the corner becomes less ugly. I tell myself that I’m safe and try sleeping with the light off. I deserve a good night’s sleep – and I get one :-). I trust Adult Me to take care of Little Me. I recognise, through the eyes of the person sitting opposite me that my circumstances were not normal and in witnessing this I am able to forgive and understand the little me. I am responsible but I am not to blame. I am not inferior or unlovable – it is not me that was lacking but my environment. I know this intellectually and emotionally. The light and the shade make up the whole – ‘everyone’ has light and everyone has parts in shadow. I am proud of myself for having the courage to look at it. It feels as though I was dealing with adult sized issues/responsibility – abandonment, neglect and other things but still a child myself. I found ways to comfort myself based on my age, inexperience and what was familiar to me. BUT I’m doing my best with what I have been dealt in life and I haven’t abandoned myself. So this is where we have arrived so far. The process of integrating intrapsychic, mind-body, relational-social and/or transpersonal-spiritual dimensions is layered and complex. Integration comes when a client opens themselves to seeing (themselves/their world) in a different way, when they have a moment of insight. Integration also comes with the holding of polarities, when the client accepts their ambivalent emotions and owns both their light and dark sides. Similarly the integrative process might involve recognising and pulling together of previously disowned or unacknowledged parts of self. New connections are made between body and mind; between unconscious and conscious; between feelings/thoughts and behaviour; between self and other. Existential choices can be made about what kind of person the client wants to be as they move towards being in more direct and contact-full relationship with their world. Perhaps the deepest integration comes when clients embrace some kind of transformation, a new way of being. The magic and mystery of our therapy is not seen in our techniques and methods. It is most in evidence when we witness another making connections towards healing and renewal. It may be impossible to specify the exact process of integration but it can be sensed and observed. Personally speaking, I love witnessing that moment of epiphany, if unity, of self-acceptance. A new energising potential comes into being, a new sense of well-being which, in turn, acts as a springboard for further growth and development. Beyond working with the client’s integration, surely we attend to the same in ourselves? None of us is ever fully ‘integrated’; parts will always be in hiding and not entirely accepted. We remain work in progress. None of us is immune from becoming disconnected with ourselves (mind/body) and with others. And it is inevitable that our clients will touch our own vulnerability or stir past traumatic memories which results in us momentary disappearing, where are not fully present. Acknowledging these moments will help us take the opportunity to learn from our clients and perhaps even receive some healing in return. I highly recommend reading more in-depth case studies and dialogue segments that can be found in numerous books such as those by: Erskine and colleagues, to get a fuller sense of the integrating process, e.g. Erskine, R.G., Moursund, J.P. and Trautmann, R.L.(1999). 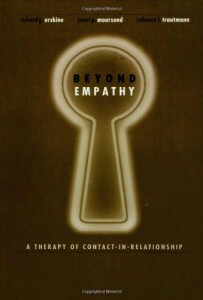 Beyond Empathy: A Therapy of Contact-in-Relationship. London: Taylor & Francis. See also, Erskine, R.G. (2015). 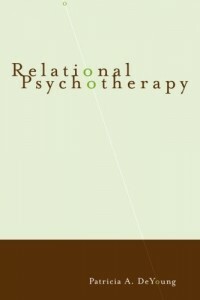 Relational patterns, therapeutic presence: Concepts and practice of integrative psychotherapy. London: Karnac.